Everyone understands the power of an all-white outfit. The look is simultaneously sophisticated and cool – and when done right, it strikes a rare balance between modern and classic. To make the elegant look appear casual, we’ve combined ripped jeans and a lace top by CLOSED with a hippie bag from Coccinelle. Celebrate the summer in airy dresses in bright colours. This pink dress from Tara Jarmon and these high heels from Philipp Plein make the perfect look for any occasion, whether it’s brunch in the morning sun, cocktails at a rooftop bar or barbeques on a balmy summer night. On hot summer days, there’s nothing better than short dresses in light fabrics. In this dreamlike minidress by M Missoni you’ll stay cool even on the hottest summer days. The weather is getting warmer and the days longer, and a new invitation arrives each day – marking the start of the event season. Whatever event you and your partner are attending this summer, make sure that your outfits complement each other. Here we have the hottest styles for couples for every event in your calendar. Let it swing! 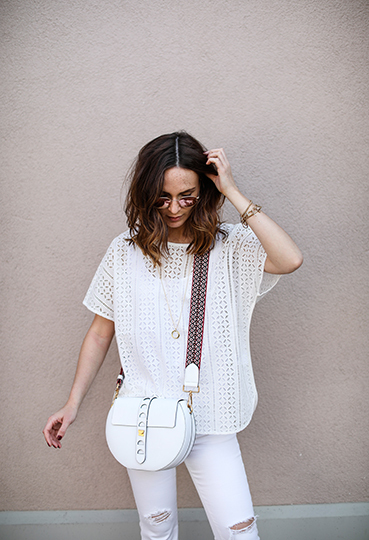 The fringe trend is finally dancing in our wardrobes and it’s perfect for festival season. As a decorative element on dresses, tops, bags or shoes, fringes are an absolute must-have – and not just at festivals.